We tend to run SEO and SEM in one team, which is part of our IT department. A lot of the things we do rely on programmers, designers and writers. We manage all technology internally, ranging from SEO to on-site contact forms to client management. 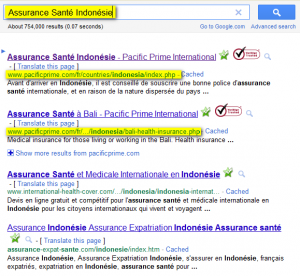 What’s your “secret sauce” for expat SEO? (Laughs) Ironically, I believe it’s initially more about building unique and useful content, irrespective of short-term conversion. You should offer value to the users in your target segment, irrespective of whether they look for your product or not. They will then come back, and those that do need your product will contact you. Your main site, pacificprime.com, runs in 9 languages, including all major European languages, Russian and Chinese. How do you manage the translations? We manage all translations in-house, and can actually support customers in more than these languages. At this point in time, non-English pages represent only 9% of our traffic, but this is definitely a quickly growing market! Many companies believe that running campaigns in English will be “more or less enough” to reach non-native English expats as well. In SEO, most expat marketers start with the English terms they’re looking for. This is why the market for other languages is underserved. I’ve just read a report on a growing number of Russian entrepreneurs moving abroad. Hit these Russians with a targeted expat product in Russian, and you get a great conversion. Does this mean that you see better conversion on your non-English pages? We definitely see a better conversion when serving customers in their native language! Bounce rates decrease, average time on site increases, conversions go up. Back to conversion… the contact forms on your site seem relatively short compared to other insurance sites. How are you doing in the battle balance length with proper customer qualification? (Laughs) It is a battle, and what a battle. We current have different forms on the site, some contain 3, some 6 fields. And then it’s testing and measuring again … it never ends. You’re also actively pitching Skype calls and your phone number on the site. In time where “leads” are dealt with like a digital currency, do you still like the good old-fashioned phone call? I love phone calls, give me more phone calls! We get a lot of them, and we transfer the directly to someone who speaks the right language. I know some salespeople prefer leads for better planning, but phone calls are great for conversion. In the last 5 years, have you seen expat customers change the way they use the contact option on the web? Some things like phone calls will never change, but we definitely see greater user acceptance of filling out contact forms online as well. Maybe users are maturing in the way they interact with the web. Maybe sites have improved the way they try to collect the information. I don’t know, but the changes are noticeable. 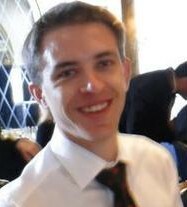 What would be your final advice for people working in expatriate SEO? Test your ideas! You might have a good gut-feel when you’re building your strategy, but it’s nothing more than that until you’ve actually tested it. 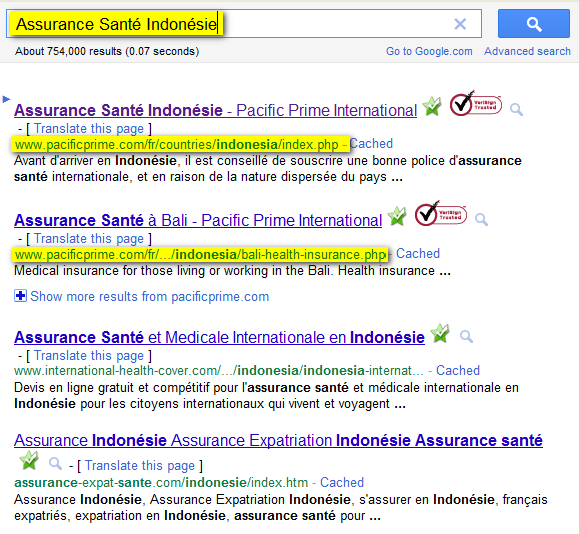 The success of Pacific Prime’s SEO strategy is based on multiple factors. Not all of their strategies will work with every expat campaign, but there are some lessons that are easily applied to most multilingual campaigns. As the first step in their SEO strategy, Pacific Prime identified the key markets and languages expats would search for health insurance. Not all markets get covered in all languages (at least for SEO purposes). For example, Pacific Prime has created 32 landing pages for Asian markets in English, but only 16 in German. Each of the landing pages contain a slightly adapted keyword-rich general description, country-specific health and insurance information, customer quotes and a selection of user questions for the specific market. Visitors are encouraged to ask questions on the respective insurance market. This provides not only useful customer leads, but also allows Pacific Prime to update the landing pages continuously with useful and relevant answers on the same page. This results in a mix of static and dynamic content, keeping the page “fresh” in the perception of search algorithms. Interestingly, the approach works extremely well in languages other than English. While the English keyword space for expat health insurance is highly competitive and targeted by some of the world’s largest insurance providers (Bupa, Medicare, Allianz & Co.), the level of competition is still comparatively low in other languages–especially in languages from less developed expat markets (like German). In addition to their main site, Pacific Prime runs various industry properties, among them the Globalsurance blog for industry professionals. Instead of running a network of low value sites, Pacific Prime focuses on a limited amount of properties with high-quality content, and also publishes health insurance articles on other sites (with credentials of course). Lastly, Pacific Prime’s landing pages are extremely well-optimized for user conversion. While many industry players still insist on long and complicated forms for a first customer contact, Pacific Prime limits the initial inquiry to very few fields (including contact details). They also offer the alternative of a direct call via Skype. Of course, these are only a few cornerstones for a successful SEO strategy. We’d love to hear your opinion: What do you consider the most important factors in expat SEO, and which mistakes should new marketeers avoid? Posted in SEO.Tagged health insurance, Interview, SEO. Looks like Michael has moved to Cooper, Claridge-Ware Limited. Will be interesting to see how his strategy changes with a new organization. Nice read. This is what we’re all about too. Test, test and retest. It’s an ever-evolving process. Great article- that Michael Lamb sounds very impressive!